So you want to write like Glen Allsopp, huh? Look no further. I’m an avid reader of Glen’s stuff regardless but thought it would be interesting to analyze his content as a whole to see what he does well, how he does it, and whether he could improve in any way. For a little background, Glen is a website builder, SEO specialist, data junkie and more. 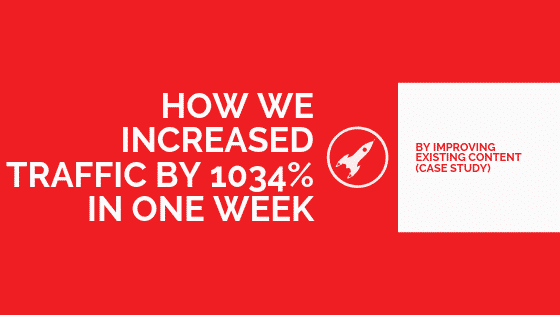 If you’ve ever read the content on Gaps or Detailed, you’re looking at the work of Glen and his team. Most notably, his content is split across two different assets. Gaps: Gaps helps the hungry entrepreneur discover potentially lucrative business opportunities by showcasing success stories through the use of case studies. Specifically for this blog post, we’re going to focus on the Gaps content. 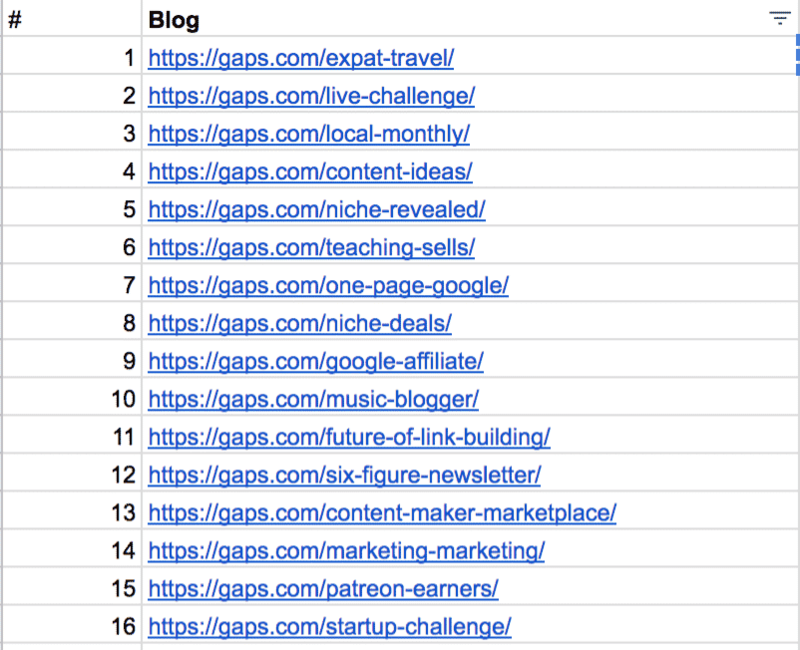 On gaps, there are a total of 16 blog posts (with an extra one linking to Detailed), all ranging in length. 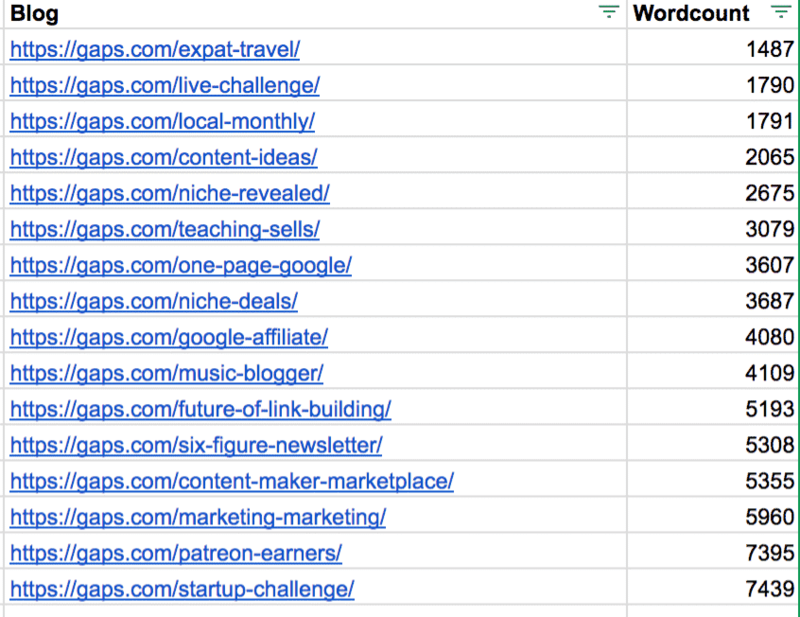 As you can see, all of the blog posts on Gaps are long. The shorter ones, however, were from the beginning of the Gaps blog. I cannot speak for Glen, but I imagine this might have to do with perhaps wanting to hook the reader onto the concept early on so they’d eagerly wait for the next blog post. Now the thing about Gaps is that there doesn’t seem to be a regular schedule. None of this “we must publish two blog posts a week, every week, for a year”. If you want the definition of quality over quantity, Gaps is it. But don’t be fooled into thinking that you can simply write and write and write until you’ve hit 4000+ words and call it a day. 4000 words of drivel won’t give anyone value, especially not your business. Which brings us to the “depth over length” concept. You’ll know as well as many that Google tends to have a preference towards longer content. That’s not to say shorter content can’t rank too, but in general, longer content tends to be more useful. I’ve already established that the content on Gaps is LONG. And when you start reading the content, you realize why it needs to be that way. The content on Gaps covers an entire topic in full. The level of detail each blog post goes into is astounding. What’s more, it leaves just that little bit behind so you’re curious enough to go away and research further and perhaps even implement some of his ideas. For example, in this post about Patreon, Glen outlines 90 of the biggest earners on the platform. The key with this blog post is to make you go away and consider how you could make money on Patreon. Because of that, Glen had to include that many people. He had to make sure there was enough variety amongst the list that everyone and anybody reading would be able to think about ways they could leverage the platform. What’s more, with this particular blog post, he doesn’t just talk about the big earners, he mentioned the little guys too. His content, ideas and thoughts aren’t so wildly out of reach that you’d never be able to achieve it. And if a teardown of 90 Patreons wasn’t enough to wet the pallet, Glen even gives his take on what he believes would be a lucrative Patreon venture to go into. I struggle to believe anyone interested in this type of content would leave without perhaps thinking, even slightly, about what they could do on the platform. A quick breakdown of the style and tone of Glen’s work. He uses the first person. In many instances, I’d avoid doing this, but it works so well for Glen because of the type of content he writes. All his blog posts are a hybrid of “how-to” meets “case study”. He doesn’t write content like “top ten tips for entrepreneurs” and then rehash a load of information that’s on the web already. What Glen does on Gaps is find a really clever way to create super original (and therefore shareable) content. The longest paragraph I was able to find from Glen’s content was 4 lines. 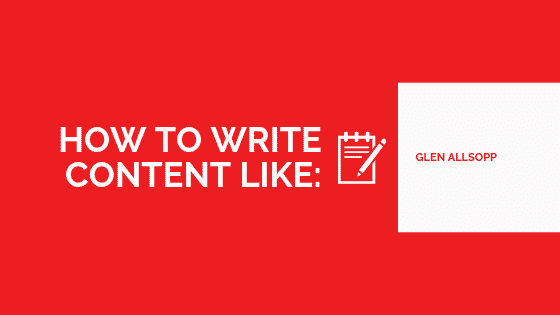 This is especially imperative for someone like Glen to make the content super easy to digest and read. The sole purpose of the first sentence is to encourage someone to read the second and the sole purpose of the second sentence is… etc etc. When you’re writing content that exceeds 2000+ words, you really need to make sure every single word you put on the page/computer/editor is needed. If not, you’re likely to lose people’s attention. One way to keep their attention is to use short snappy sentences and paragraphs, in the same way that Glen does. Glen is super careful about the images he uses in his blog posts on Gaps. 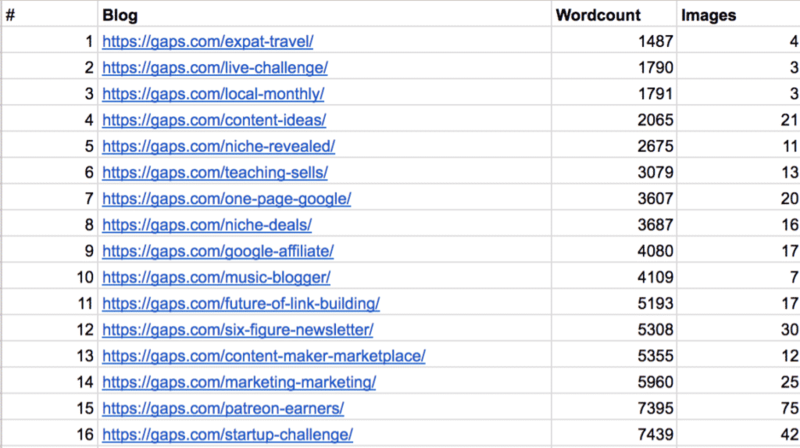 In the table below, you’ll see a comparison between the number of words each blog post has and the number of images used. Largely, the trends follow a similar path. “The longer the content, the more images used”. There is, of course, a huge outlier: #10 the music blogger post. We’ve always been taught that you should break up large walls of text with images so that readers don’t get bored. In many of the blog posts on Gaps, you are met with an entire wall of text. So how come Glen is able to do this and still keep his readers hooked? Well, it all comes down to the content of his blog posts. I’ve already mentioned his blog posts are a hybrid of a how-to and a case study. If anything it’s a blueprint for how you can make use of an idea, how people are currently doing it and some best practices, coming from a person who has built many, many businesses and websites in his time. One thing that did stand out to me about Gaps was how the URLs were all structured in the same way. See the table below. Another thing you’ll notice about Glen’s work, (if you analyze it all at once) is that there is a great deal of internal linking. Internal linking is good especially when you have a small collection of top quality blog posts. It allows Google to better understand the architecture of your site. I don’t have any improvements for Glen’s blog, but as a huge fan of Gaps, what I’d love to see are some follow-up results. People who have implemented his ideas and succeeded. That’d be awesome. Think you can hack writing like Glen Allsopp? 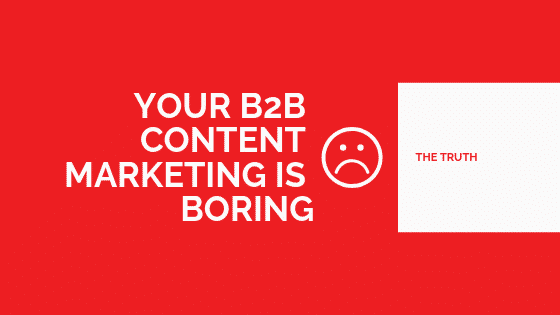 Writing the type of content featured on Gaps is not for the faint-hearted. Again, I can’t speak for Glen, but I’d hazard a guess that the research for his articles is the longest part in the process. If you’re prepared to put in hours of research, planning and data scrambling to produce completely unique and valuable articles, you will be leagues above your competitors! This article is part of our “how to write like” series” To see the other articles in this series, click here.